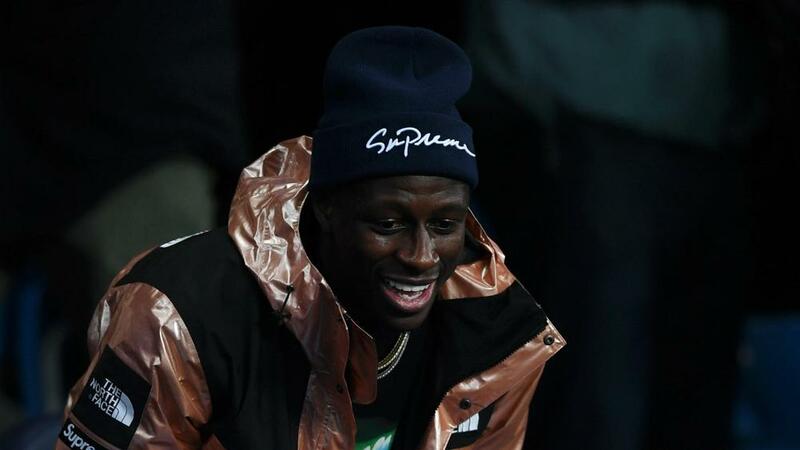 Pep Guardiola believes Manchester City's Benjamin Mendy has the potential to be a top-class left-back but wants the defender to show more maturity, noting: "I'm not his father." Mendy's career since joining City from Monaco has been heavily disrupted by a series of injuries, the most recent of which has kept him on the sidelines for two months. But Mendy is set to return to action as City head to Burton Albion for the second leg of the EFL Cup semi-final on Wednesday, holding a 9-0 lead from the first leg. His availability will be a huge boost for the Premier League champions as they compete for honours on multiple fronts, Guardiola having had to use Fabian Delph, Aymeric Laporte and Oleksandr Zinchenko as makeshift left-backs in Mendy's absence. The 24-year-old has become popular for his inimitable, inventive use of social media - racking up over a million Twitter followers - and while Guardiola is thrilled to welcome Mendy back he wants the defender to show more focus on his football. "I am delighted with Benjamin," Guardiola told a news conference. "I am sad because we were not able to play him because of injuries but that sometimes happens. "The way he is training, the way he is in the locker room... you cannot imagine how much the people love him. I am delighted – I just want to use him more! That's all. "I am not unhappy with Mendy [using social media heavily]. I am not here to change his mentality. His way, the way he lives... is what it is. When we bought him, we knew it. "So, when we are talking about training sessions, always it's perfect but he is active on social media. He likes to be. It is what it is. "We try to convince him, but I'm not his father! [I tell him]: 'Be focused on your job and what we have to do. You are young, and you can be one of the best left-backs, but it's up to you.'" Eric Garcia is set to be one of a number of young players given a chance to impress by Guardiola, with his side in such a dominant position against Burton. The defender's long-term City future appears assured but Guardiola indicated he is unsure whether or not the teenager would benefit from a loan spell. "I can count on him," Guardiola said of the 18-year-old. "He showed me an incredible personality in the EFL Cup [ties against Leicester City and Burton], and especially in pre-season when he played with younger players. "It's easier when you are a young player to come in and play close to Nico [Otamendi], or David Silva or Kevin [De Bruyne] – but play there with six, seven young academy players, and he was really the captain, and he guides and he leads in three hard games. "He was incredibly good. In the EFL Cup he was good. But he's young. Is he a third, fourth defender, one more year in academy, or do we loan? We are going to decide in the next months what happens next season. "But I am incredibly satisfied, not just with the games but the way he trains, his behaviour, how polite he is, how he listens, how when he has doubts, he always asks myself, my staff, Mikel [Arteta]. "He is so smart, so intelligent. He understands everything so quick. His physicality is not so strong, but he resolves situations by thinking. I like to work with intelligent people and he is one of them."